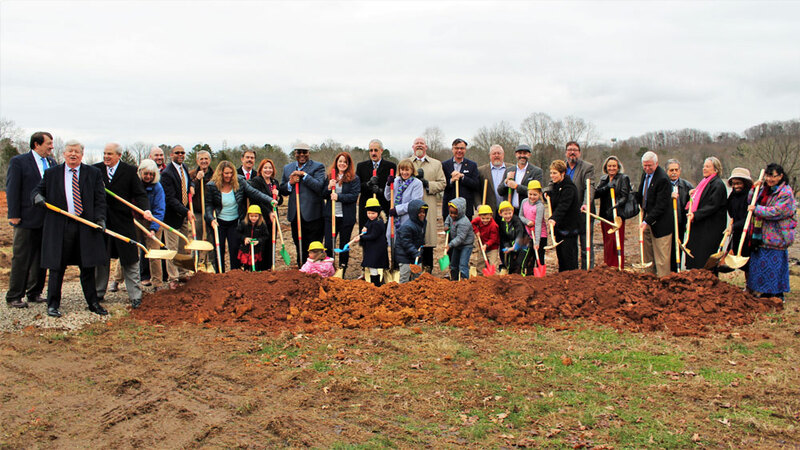 The City of Oak Ridge held ceremonial groundbreakings on Monday, January 14, to celebrate the start of two major projects: the new Oak Ridge Preschool with Scarboro Park Improvements and the new Oak Ridge Senior Center. Construction activity is already underway at both sites and the buildings are slated for completion later this year. Studio Four Design, Inc., was chosen to design the Preschool and the Senior Center. At a special meeting in October 2018, Oak Ridge City Council unanimously approved resolutions awarding construction contracts to Jenkins & Stiles, LLC, totaling just over $11 million ($8.4M for the new Preschool and Scarboro Park Improvements and $2.68M for the new Senior Center). General obligation bonds were sold in late November to completely fund the projects. 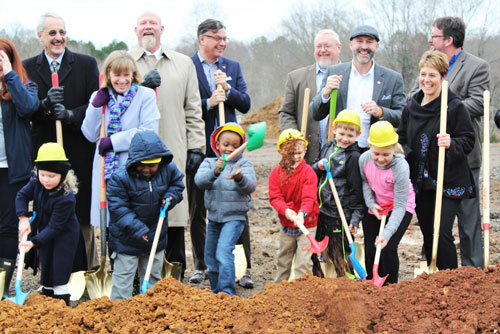 The new preschool will be a single-story facility of approximately 33,000 square feet located on Carver Avenue. The build site is inside Scarboro Park, a roughly 10-acre parcel. The project includes improvements to the adjacent park area such as lighted basketball/tennis courts, a baseball field, a public pavilion, green space, and a walking trail. The current senior center is temporarily operating out of the Civic Center’s Recreation Building. The new senior center will be built next door, just to the west of the Recreation Center. The single-story, approximately 11,000 square foot facility will overlook part of A.K. Bissell Park. Plans include a large kitchen, craft and exercise rooms, billiards parlor, lounge, and other common space. The Preschool is expected to be complete by the end of November 2019 and the Senior Center has an estimated completion date of October 1, 2019. 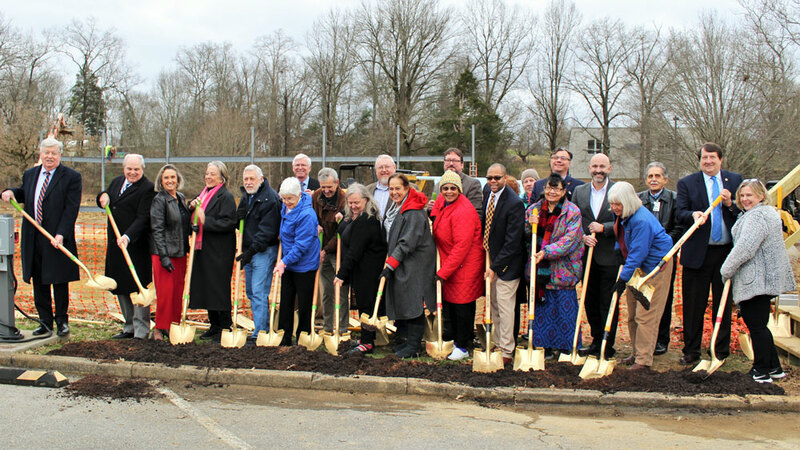 Members of Oak Ridge City Council, the Oak Ridge Board of Education, and the Senior Advisory Board attended Monday’s groundbreakings, along with City staff, Oak Ridge Schools representatives, project leaders, and other special guests.